This staple gun is much better than my old 'heavier duty' one. 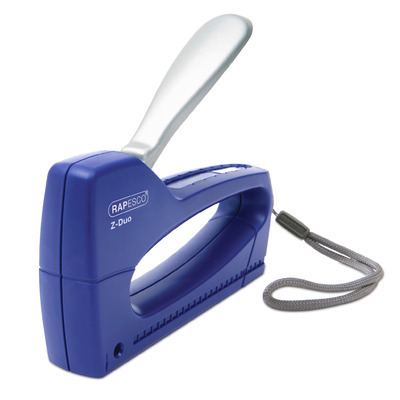 It hasn't missed a single staple and the childproof handle is brilliant. It is lightweight and easy to use at any angle, even above my head. Lightweight for extended and continuous use, this powerful Hand Tacker has been designed for use in the busiest of work environments. Ergonomically designed with contoured edges and lock down edges, this comfortable tacker has been crafted to tack documents to display or notice board with ease. Manufactured with premium grade steel working parts and driver blade, the tacker comes ready filled with 300 staples so you can get on with your most pressing jobs instantly. The handy refill indicator alerts you to when additional staples are needed. Add to your current tacker staples collection with our Box of 5000 and keep documents on the print roll with our large packs of A4 Paper.